Academy Prep Center of St. Petersburg, Inc.
Alexander City Rescue Squad, Inc.
All Children's Hospital Foundation, Inc. Animal Coalition of Tampa, Inc.
Association for Safe International Road Travel, Inc.
Ault Park Advisory Council, Inc.
Back to Basics Charter School Foundation, Inc.
Beauty for Ashes Worldwide, Inc. Boys & Girls Clubs of Citrus County, Inc. Boys & Girls Clubs of Tampa Bay Foundation, Inc.
Carc-Advocates for Citizens with Disabilities, Inc.
CARES Community Aging and Retirement Services, Inc.
Central Park Village Youth Service, Inc.
Children's Museum of Tampa, Inc.
Citrus County Family Resource Center, Inc.
Community Food Bank of Citrus County, Inc.
Dept. of Florida Veterans Foreign Wars Foundation, Inc. Edible Peace Patch Project, Inc.
F E A S T, Inc.
Florida Baptist Children's Homes, Inc.
Florida House Washington D C, Inc.
Florida Orchestra Guild of St Petersburg, Inc.
Fondos Unidos De Puerto Rico, Inc.
Franciscan Center Tampa Florida, Inc.
Friends of Homosassa Springs Wildlife Park, Inc.
Friends of Tampa Public Art Foundation, Inc.
Friends of the Environment, Inc.
Friends of the Patuxent Wildlife Research Center, Inc.
Future Business Leaders of America Phi Beta Lamdba, Inc.
Gasparilla Festival of the Arts, Inc. Girls Empowered Mentally for Success, Inc.
Good Samaritan Fund of Greater Sun City Center, Inc.
Great Hope Christian Fellowship, Inc. Greater Tampa Bay Area Council, Inc.
Gulf Coast United Soccer Club, Inc.
Gulf Harbors Civic Association Charitable Fund, Inc.
Hanna Home Shelby Auxiliary, Inc.
Haven of Hope of Hillsborough County, Inc.
Hillsborough House of Hope, Inc.
Hospice Foundation of the Florida Suncoast, Inc.
Humane Society of Pinellas, Inc. In Touch with Communities Around the World, Inc.
Interfaith Social Action Council of Sun City Center, Inc.
International Federation of Fly Fishers Inc.
International League of Conservation Photographers, Inc.
Israel Tennis Centers Foundation, Inc.
James B. Sanderlin Family Service Center, Inc.
Jewish Federation of Pinellas and Pasco County, Inc.
Julie Weintraub's Hands Across the Bay, Inc.
Kiwanis of Dade City Charitable Foundation, Inc.
Lake Martin Humane Society, Inc.
Live Oak Theatre Company, Inc.
LOVE Inc. of Metro Tampa, Inc.
Lowry Park Zoo Endowment Foundation, Inc.
Make A Difference Fishing Tournament, Inc.
Margaret Acheson Stuart Society, Inc.
Marion County Sheriff's Office Foundation, Inc.
Masonic Charities of Florida, Inc.
Masonic Home Endowment Fund, Inc.
Means of Hope Foundation, Inc. Morning Star Tampa Foundation, Inc.
Morton Plant Mease Health Care Foundation, Inc.
Museum of Fine Arts of St. Petersburg, Inc.
Museum of Science and Industry, Inc. Nonprofit Leadership Center of Tampa Bay, Inc.
Norman B. Leventhal Map Center, Inc.
Operation Migration - USA, Inc.
Pasco Hernando State College Foundation, Inc.
Pepin Academy of Tampa, Inc.
Plant City Photo Archives, Inc.
Plant High School Athletics Foundation, Inc.
Powerstories Theater of Tampa Bay, Inc.
Poynter Institute for Media Studies, Inc. Restored Hope of Dade City, Inc.
Ronald McDonald House Charities of Tampa Bay, Inc.
Rotary Club of Seminole Charitable Fund, Inc.
Salvadoran Enterprises for Women, Inc.
Seminole Warhawk Band Aides Boosters, Inc.
South Florida Museum & Bishop Planetarium, Inc.
St. Clair Childrens Advocacy Center, Inc.
St. John's Episcopal Parish Day School, Inc.
St. Joseph's Hospital of Tampa Foundation, Inc.
St. Petersburg Historical Society, Inc.
St. Petersburg Neighborhood Housing Services, Inc.
St. Petersburg Pregnancy Center, Inc.
St. Petersburg Warehouse Arts District, Inc.
Sun City Center Emergency Squad No. 1, Inc.
Sun City Center Security Patrol, Inc.
Suncoast Voices for Children Foundation, Inc.
Sweetwater Organic Community Farm, Inc.
Talbot House Ministries of Lakeland, Inc.
Tampa Bay Partnership for Regional Research & Edu Fdn. Tampa Bay Performing Arts Center Foundation, Inc.
Temple Beth-El of St. Petersburg, Inc. Text and Academic Authors Association Foundation, Inc.
TFTSP Youth Golf Council St. Petersburg, Florida, Inc. The Arc Tampa Bay Foundation, Inc. The Arc Tampa Bay, Inc. The Centre for Women, Inc. The Faison School for Autism, Inc. The Florida Bar Foundation, Inc. The Perlman Music Program Suncoast, Inc.
University of Florida Law Center Association, Inc.
University of South Florida Alumni Association, Inc.
Vineyard Family Services of Central Alabama, Inc.
Voice of the Martyrs, Inc.
Voices for Children of Tampa Bay, Inc.
WBBM - 90.5 FM, Inc.
Women's Resource Center of FL, Inc.
Ybor City Rotary Foundation, Inc.
Arthritis Research Institute of America, Inc.
Big Brothers/Big Sisters of Tampa Bay, Inc.
Hillsborough Community College Foundation, Inc.
Leave A Legacy Pediatric Cancer Foundation, Inc.
Moffitt Cancer and Research Institute, Inc.
Museum of Fine Arts of St. Petersburg, Florida, Inc.
R Club Child Care, Inc.
United Cerebral Palsy of Tampa Bay, Inc. 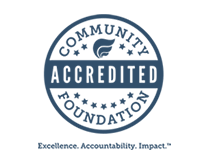 The Community Foundation of Tampa Bay meets the National Standards for U.S. Community Foundations, maintaining a high level of impact, operational excellence, donor service, and accountability. Learn more about this accreditation here.